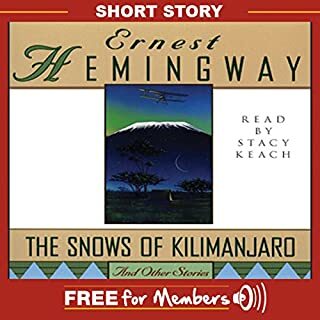 The ideal introduction to the genius of Ernest Hemingway, The Snows of Kilimanjaro and Other Stories contains 10 of Hemingway's most acclaimed and popular works of short fiction. Beautiful in their simplicity, startling in their originality, and unsurpassed in their craftsmanship, the stories in this volume highlight one of America's master storytellers at the top of his form. I had never read Hemingway before, and I am glad I found this short story. What a pleasure it was to listen to this story. 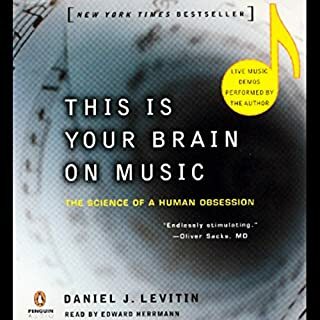 I listened to it about three times. I was totally imerged in it, and I could visualize the scenery. I am hooked on Hemingway now. I just downloaded For Whom the Bell Tolls.